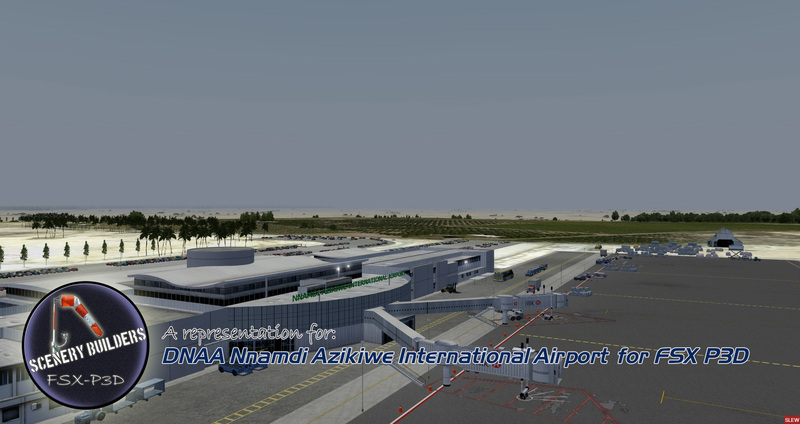 Nnamdi Azikiwe International Airport (IATA: ABV, ICAO: DNAA) is an international airport serving Abuja, in the Federal Capital Territory of Nigeria. 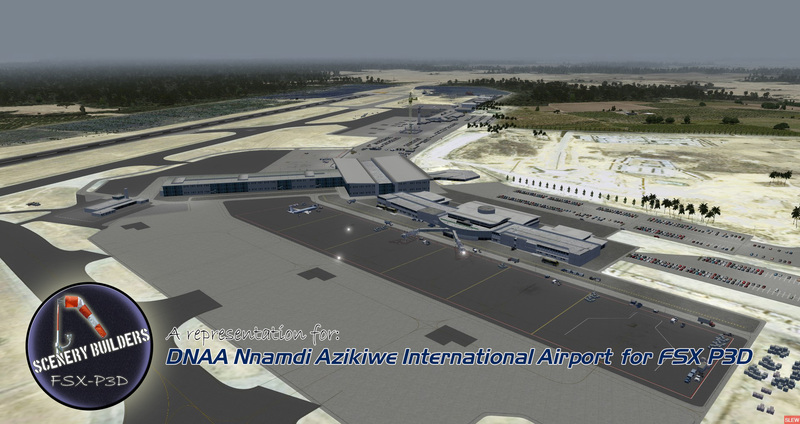 It is the main airport serving the Nigerian capital city and was named after Nigeria's first President, Nnamdi Azikiwe. 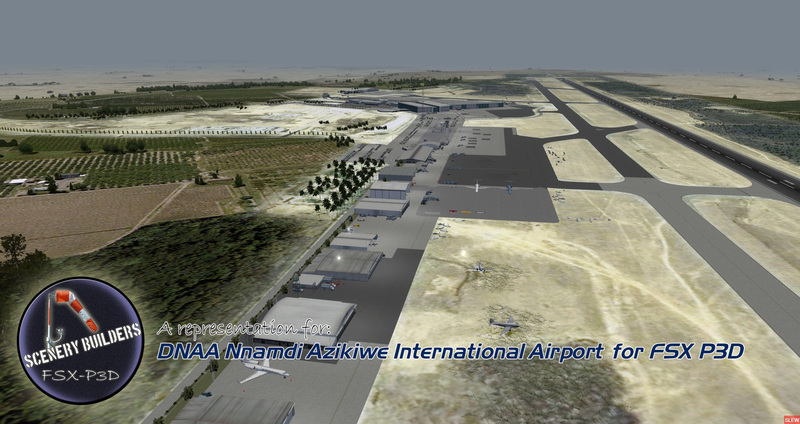 The airport is approximately 20 kilometres (12 mi) west of Abuja, and has an international and a domestic terminal that share its single runway. 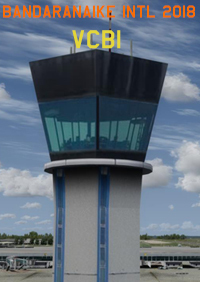 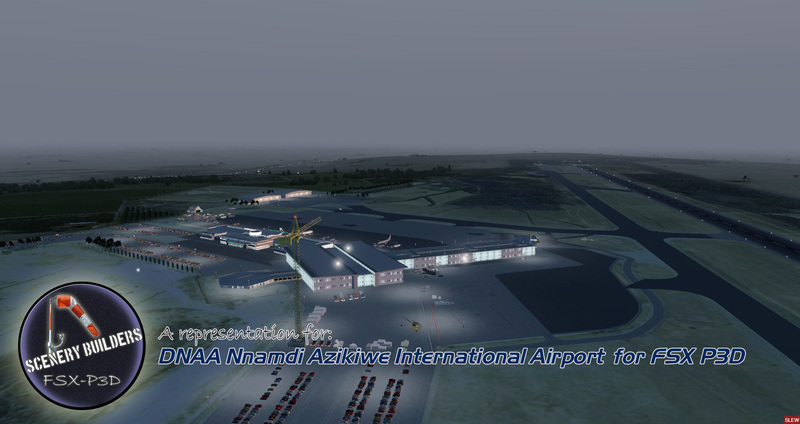 The Abuja non-directional beacon (Ident: AG) is 1.7 nautical miles (3.1 km) off the threshold of Runway 22. 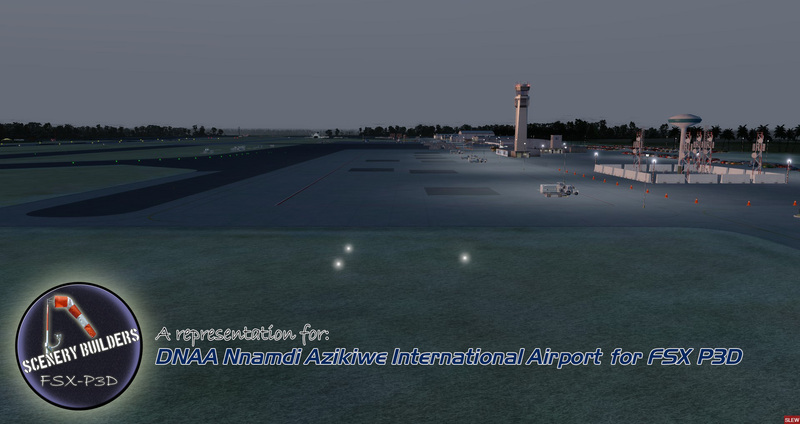 The Abuja VOR-DME (Ident: ABC) is 1.3 nautical miles (2.4 km) off the same runway. 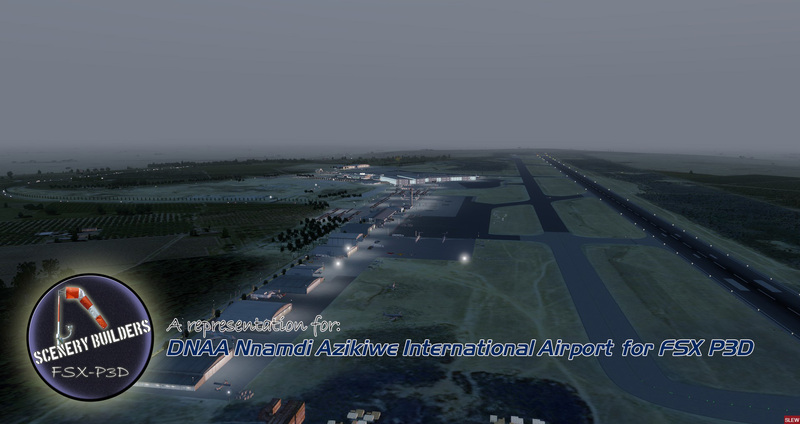 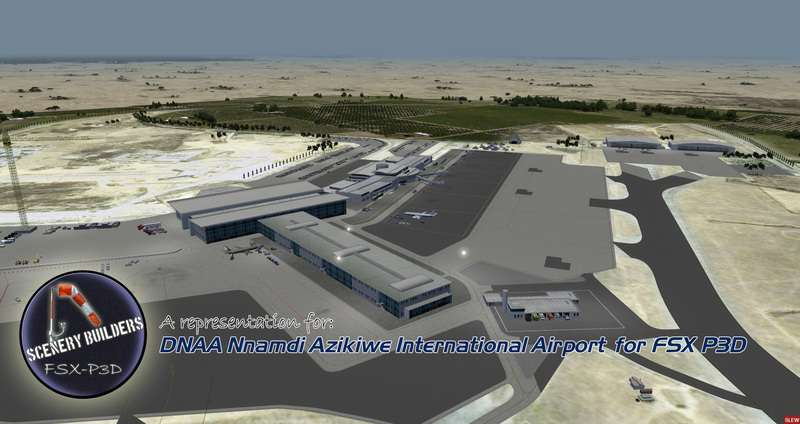 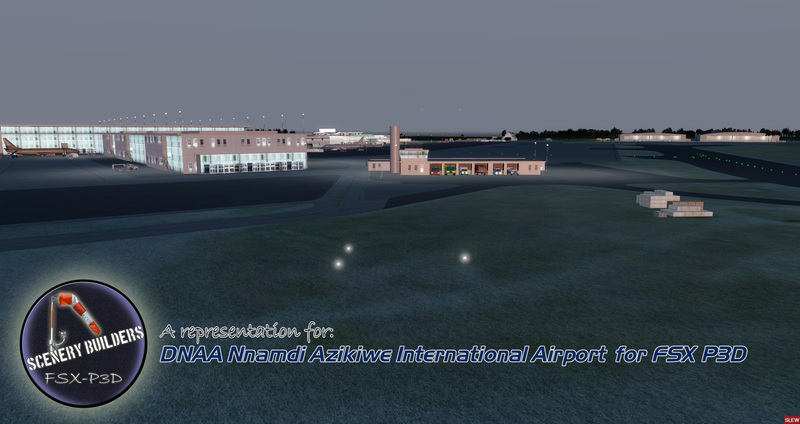 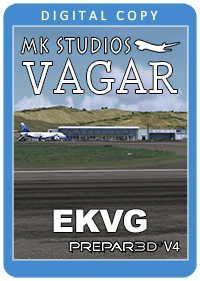 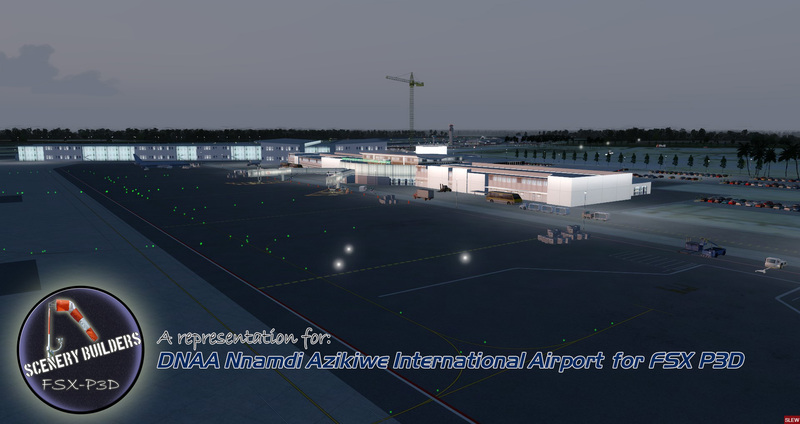 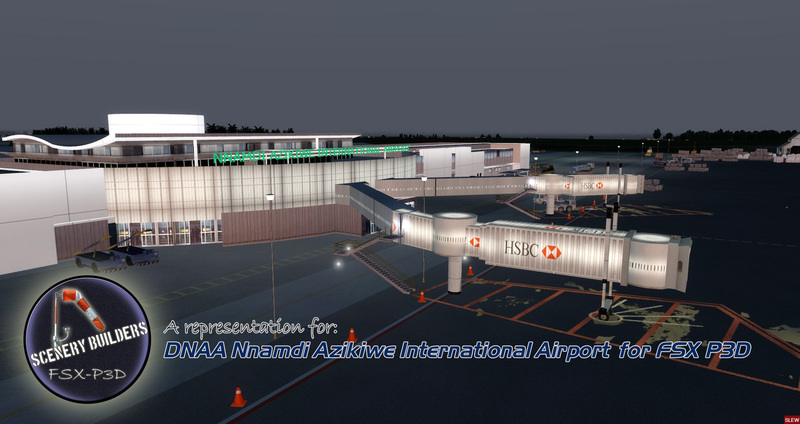 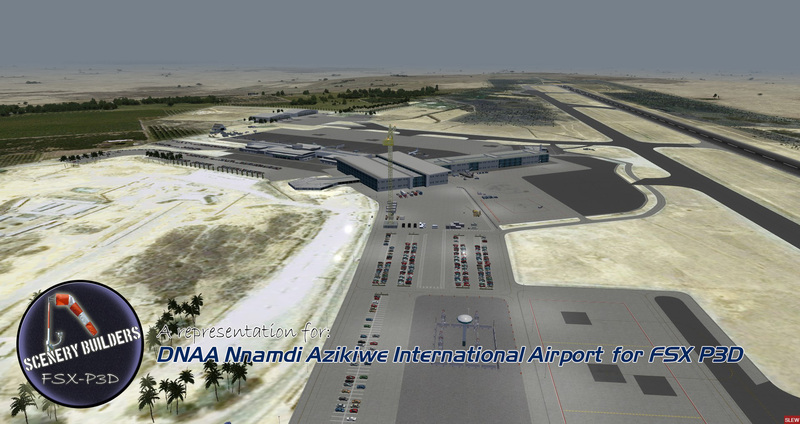 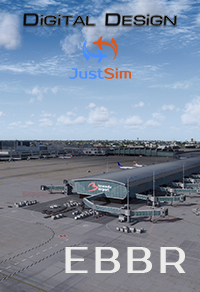 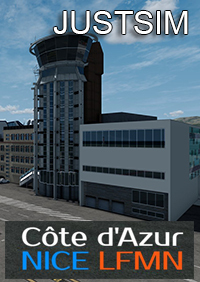 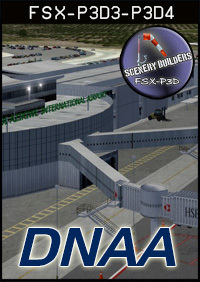 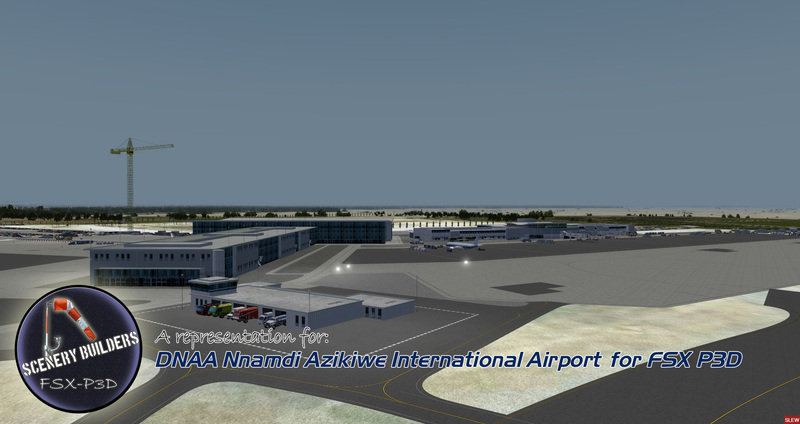 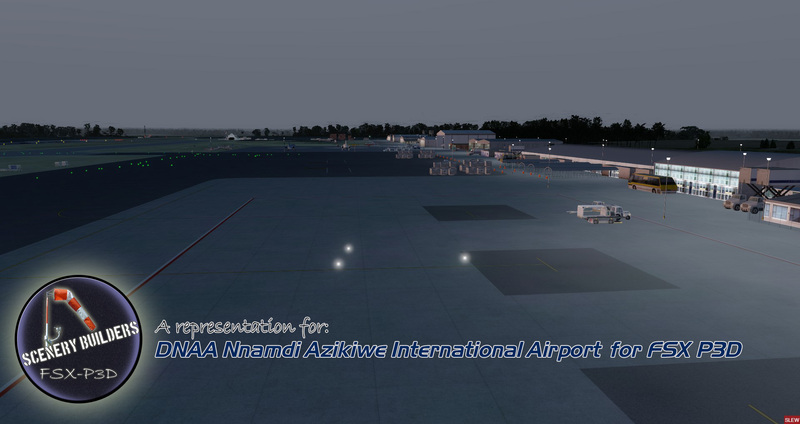 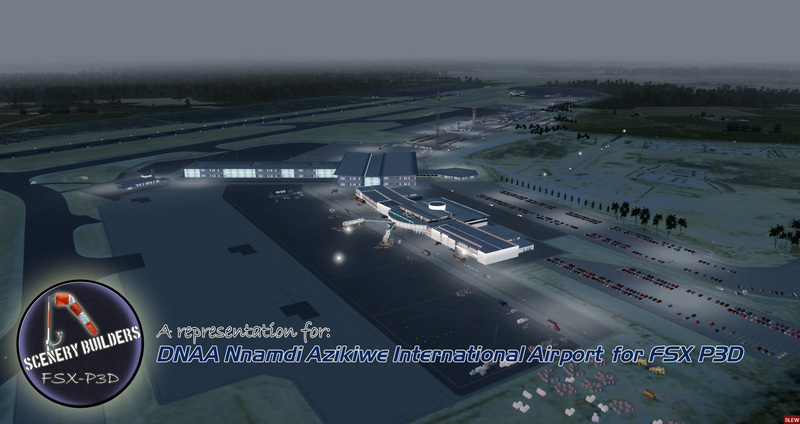 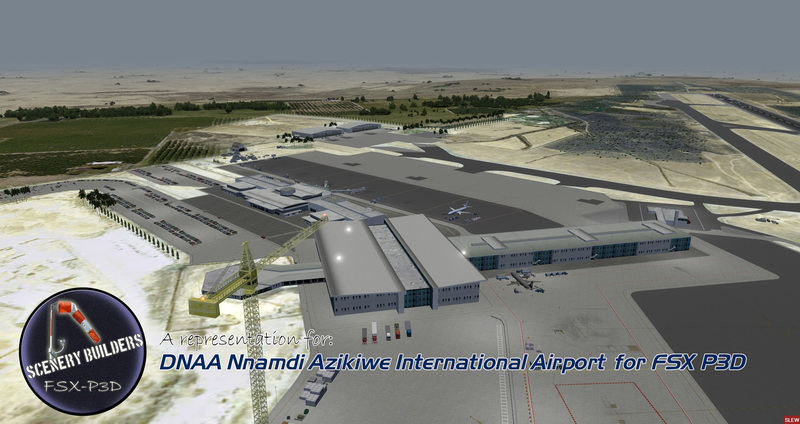 Texture quality could be better,but yes please,more African airports sceneries!